Re: "A right royal confusion", (Opinion, Feb 10). What the extraordinary events of recent days highlight is the sore need for the Thais to know what the public thinks about these issues. At the moment, they do not. This disrespects not only Thais, but the institutions involved. As every educator, scientists and other thinkers know, as even politicians well know, there is only one way to ascertain with any credibility how people feel about any topic: conduct a well-run poll. To arrogantly tell people what they believe or feel about anything, certainly something truly important to them, without doing them the courtesy of asking for their opinion not only entails a grievous risk that the reported opinion or attitude being attributed to them absent any solid evidence is as mistaken as it is lacking in merit, but it is also the height of disrespectful presumption. Thais and their institutions deserve better. 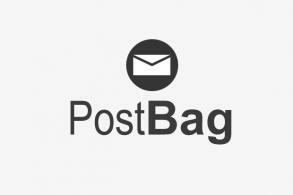 Re: "Legal uncertainty", (PostBag, Feb 10). After the stunning news on Friday morning of a party offering a member of the royal family the chance to stand as its candidate for prime minister, which was duly headlined by the Bangkok Post as "Political earthquake", the shock in fact did not take long to dissipate. The whole episode of a possible protracted constitutional crisis disappeared at 10.55 that night as a result of the quick issuance of a royal command. His Majesty the King's command was clear that in such matters not only does legal form one has to be considered but also long-held custom and tradition, not to mention the need for the monarchy to stay independent of politics under our constitution. The purpose of being above politics is to provide the appearance of fair play in an election. Upon hearing of that royal command, I closed my eyes and had deep sleep. Long live His Majesty the King! In the same light, your Saturday's editorial comment hit this principle of fair play right on the nail. Since we are now geared up for an election to search for a government to replace the temporary government of the National Council for Peace and Order (NCPO), it would be seen as fair for the NCPO's leader to vacate his seat and carry on in a caretaking capacity until the next government can be formed. Re: "Migrant question answered", (PostBag, Feb 10). While President Trump does use "colourful" if not "abrasive" language, his reference to a specific country was indeed accurate. I'd leave it to Mr Bahrt to decide which of the countries he mentions in his letter that he would live in, given he had to make a choice. Having been to both, I know what my choice would be, and my decision is not based on racism, but facts and practicality. 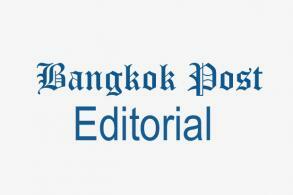 Re: "Reforms needed to fix Thai schools", (Opinion, Feb 9). Yes, education reform is greatly needed. Immigration reform is also greatly needed. Trying to pretend to be a first world country but having third world institutions does not exactly help matters. There were ample opportunities to bring about reform to so many areas. It is as if there is no will to tackle either. All letter writers must provide full name and address. All published correspondence is subject to editing at our discretion. 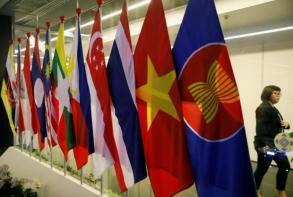 Can Asean weather another crisis?